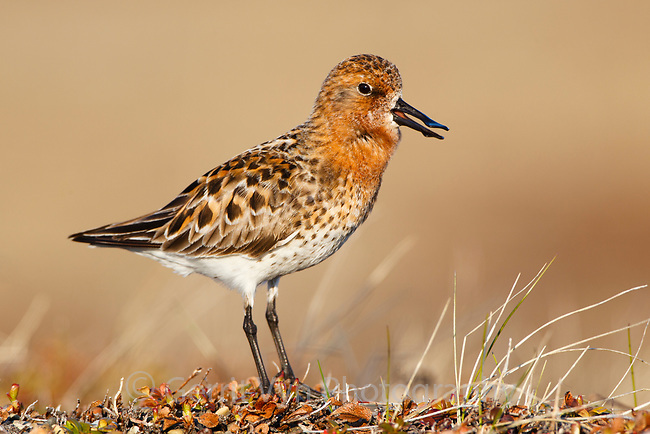 A confiding male Spoon-billed Sandpiper delivering its rhythmically repeated courtship vocalization. Males are fierce defenders of their territories. Chukotka, Russia. June.